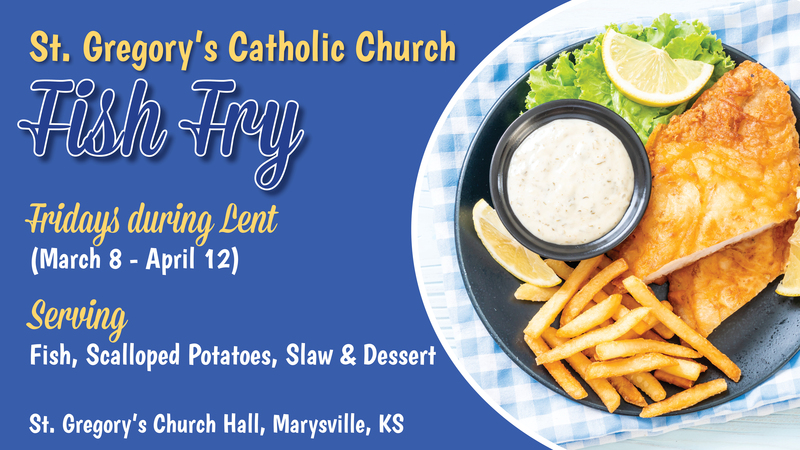 Enjoy some delicious fish each Friday during Lent at St. Gregory’s Catholic Church’s Fish Fry! Dinner is $10 and includes fish, scalloped potatoes, slaw and dessert. New this year: serving fish sticks and macaroni & cheese.